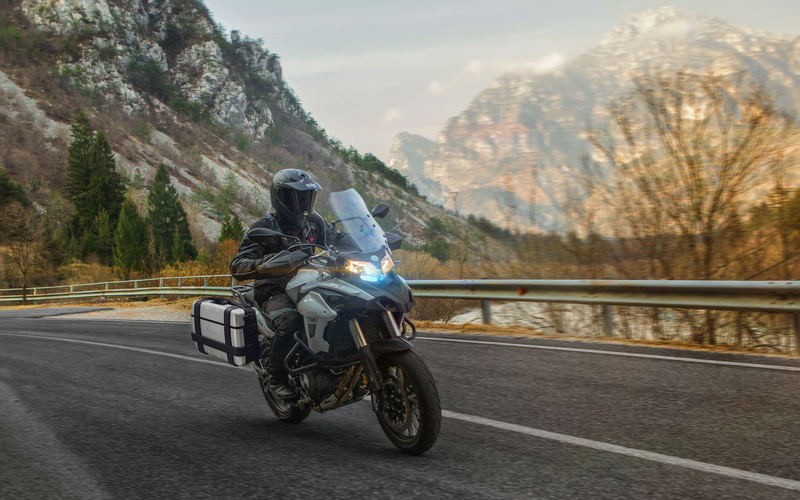 Jump aboard Benelli’s adventure-oriented TRK 502, and the road is your ticket to freedom. Whether you’re riding across town or across the country, the TRK is the perfect traveling companion. 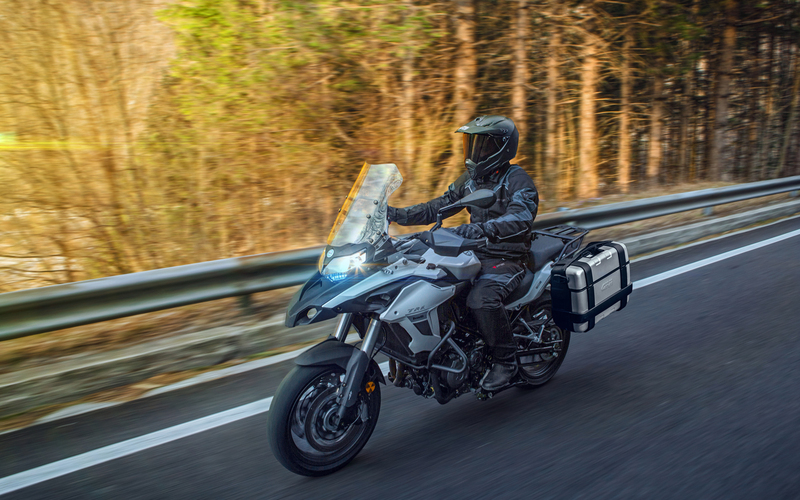 With its comfortable ergonomics, amazing wind and weather protection, capable suspension, and efficient and powerful twin-cylinder engine, you can turn each day into a different adventure, discover new worlds, all without any limitations. 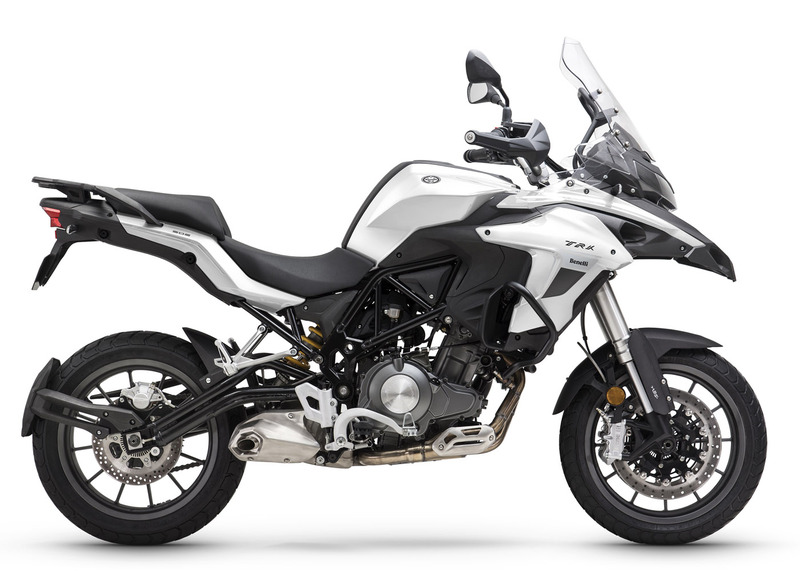 Wrapped in a traditional Benelli steel trellis frame is the all new twin-cylinder four- stroke liquid-cooled 500cc, developed by Benelli for its latest new models, with electronic injection, overhead double camshaft timing system, 4 valves per cylinder. The maximum power is 48 CV (35 kW) at 8500 rpm and the torque is of 45 Nm (4,6 kgm) at 4500 rpm, meaning perfect response in all conditions. 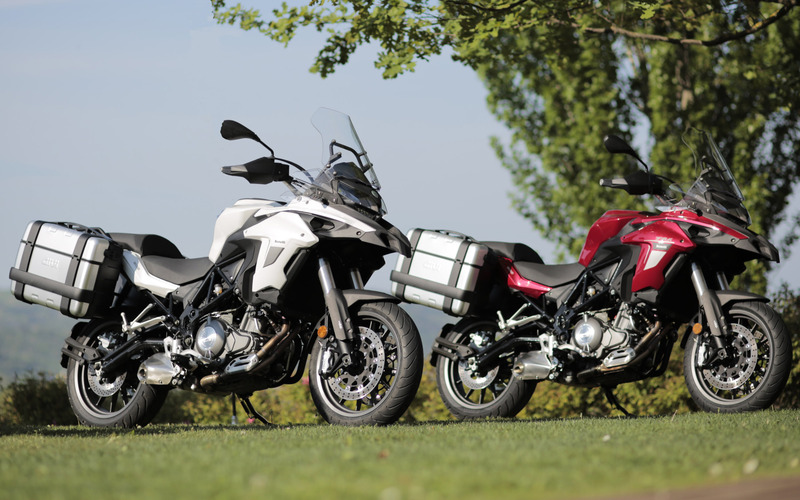 The suspension offer maximum comfort for rider and passenger, thanks to an adjustable upside down front fork, and at the rear, a swingarm with monoshock. Displaying this is the braking performance, thanks to the two front discs, 320 mm in diameter, and two-piston floating caliper. The rear disc is 260 mm in diameter, and is also gripped by a twin piston caliper. 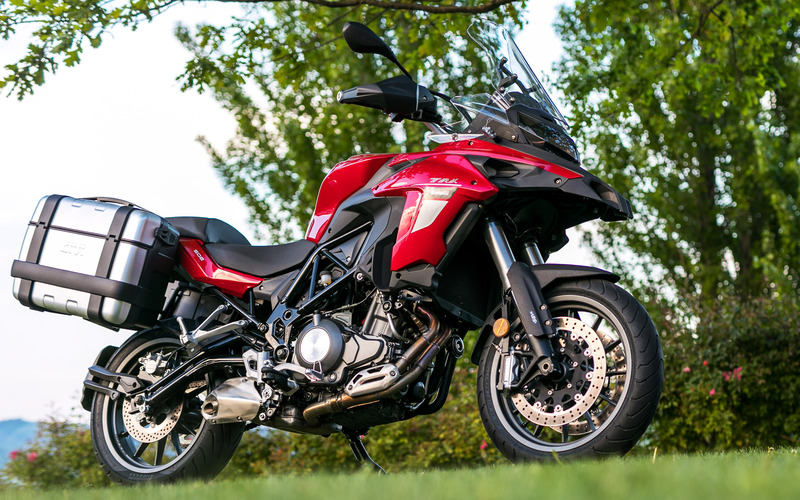 Stability, safety and precision are the key words of this new Benelli TRK 502. So get on a TRK 502. And get away. 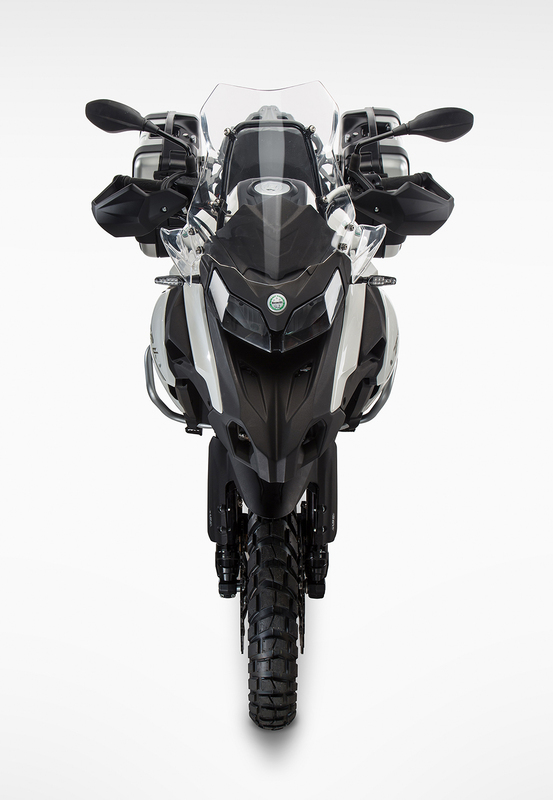 The TRK 502 blends modern shapes with classic, adventure-bike styling to create a rugged, do-anything look. The riding position is amazingly comfortable, with a wide handlebar, a plush saddle and plenty of legroom for comfort on longer trips. High quality suspension includes a 50mm inverted fork up front (with 135mm of stroke) and a swingarm-monoshock system in back. 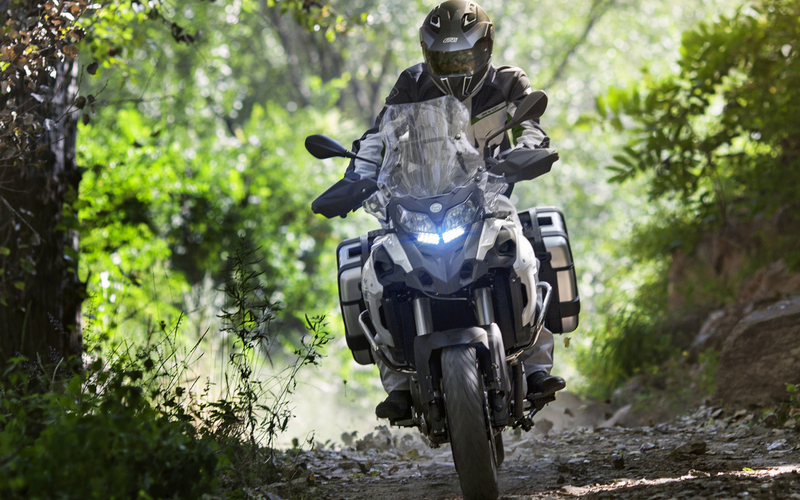 The combination offers superb wheel control and a comfortable ride, on road or off. 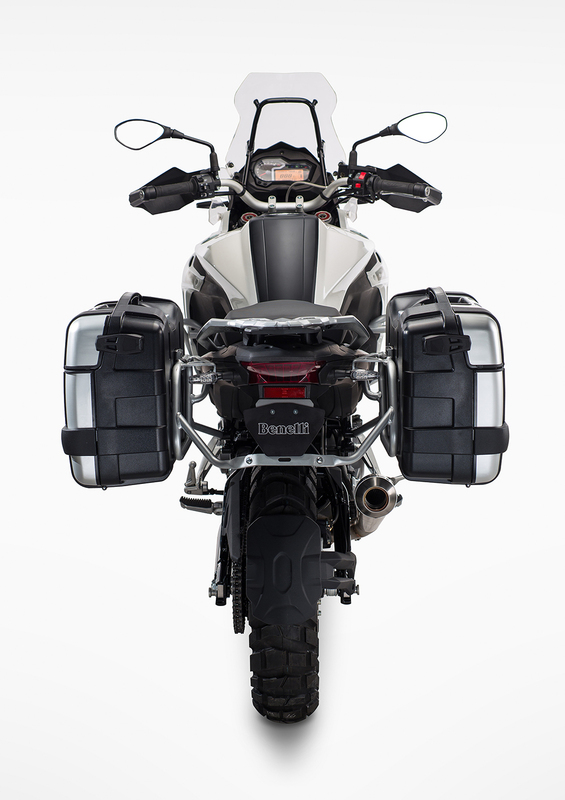 A steel-tube trellis frame surrounds the TRK 502’s engine, and provides a superb balance of rigidity and light weight. The TRK is maneuverable and confidence-inspiring on road or off, especially with its wide handlebar. The TRK 502 is powered by an all-new and highly advanced 499cc twin-cylinder engine, 4-valve technology and double overhead camshfafts for maximum power, fuel injection for precise throttle response, and a six-speed gearbox. *Benelli QJ reserves the right to change technical specification, equipment, set up and colors without prior notice.